This is a sponsored post brought to you by 3cConsulting. The opinions are completely my own based on my personal experience with the product. I love snacks. I’ve figured out that when I snack, I eat smaller and healthier meals compared to when I don’t snack, which is great, but I do have a bad habit. My bad habit is that I consistently choose the WRONG food to snack on. I’m usually pretty good with making healthy choices during the day because I meal prep and have healthy food lined up, but once the day is over and my pantry is calling my name, I just can’t help myself! December and January were good months for me. I somehow stayed away from all of the junk, but February has been HARD and I definitely need a change. I have known for a while that my pantry needs a major renovation to get rid of all of my junk, but I kept putting it off because CHOCOLATE is my jam and I just cannot seem to stay away from it. That’s where Bulletproof changed my thought process. I know you all have seen my posts about Bulletproof – I love their products with a passion. When I first started drinking their coffee with Grass fed Ghee and Brain Octane® Oil, I did not realize they had other products, as well. It turns out that in addition to their coffee, they also have food that will help me snack healthier. SCORE! I knew I had to try some out. As soon as my box arrived at my door, I ripped it open and obviously had to try out the products! I received Lemon Cookie Collagen Bars, Fudge Brownie Collagen Bars, Vanilla Shortbread Collagen Bars, Chocolate Fuel Bars (Hallelujah!) to snack on and I also got a cookbook and a travel mug, which I have wanted for a while because it is spill and leak-proof and also keeps your coffee hot for 4 hours! I knew that the bars would be perfect for both during the day and in the evenings because they contain both Brain Octane® Oil and XCT® oil to keep me full and focused. The ingredients are processed at a low temperature to preserve their natural flavors and to make sure you’re getting the maximum nutrients in each bite. I also HAD to try the Chocolate Fuel Bars and I am so, so glad that they are sitting in my pantry right now. They smell amazing and more importantly, they are SUGAR FREE!!! See you never, sugar cravings! Make sure you get your bars soon, though because they are a limited offer. The cookbook that I received is written by Dave Asprey. It is filled with delicious meals that are not only filling, but they also helped Asprey maintain his weight loss and sustain his energy. I cannot wait to try out some recipes! Junk food GALORE, but I made an awesome step and tossed it all. I will admit, since I was replacing my bad chocolate that was filled with sugar with good chocolate that is sugar free, it really made it a lot easier. I am extremely happy with my decision and I’m not missing my junk food at all. I have a lot of events coming up that I want to look and feel my best for and that would not happen if I kept stuffing my face with ‘bad chocolate’ and popcorn each night. 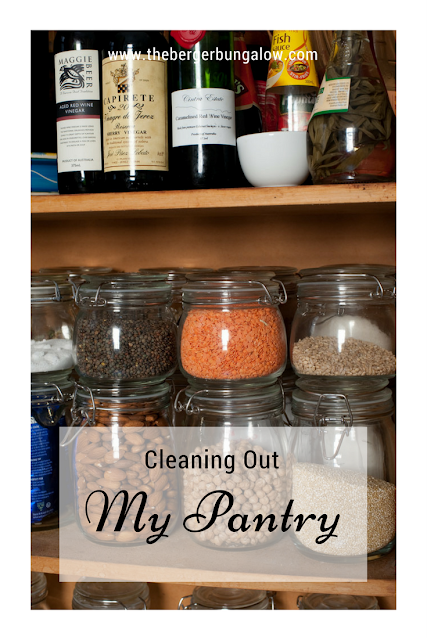 Do you have junk food in your pantry that you should clean out? I definitely recommend checking out the Bulletproof website for healthier snacks! Next on my list to get is their Hot Chocolate (okay, I seriously can’t stop talking about chocolate in this post apparently) because it is supposed to be superior in flavor with minimized levels of mold toxins!